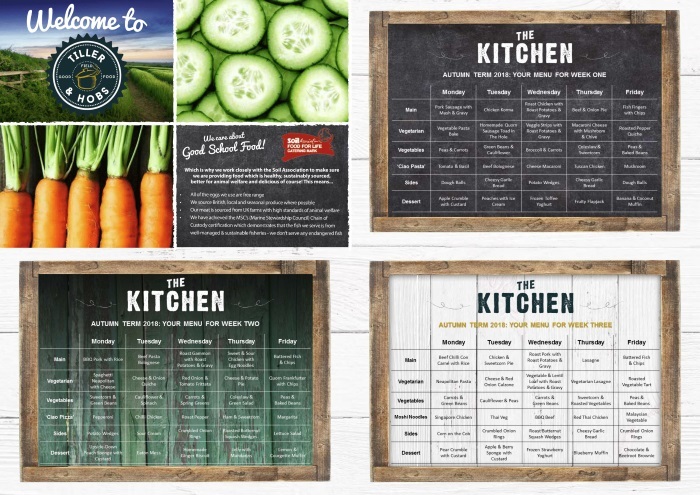 Here are the current food menus from The Kitchen, which are on a three-week rotation (please click the image to enlarge). 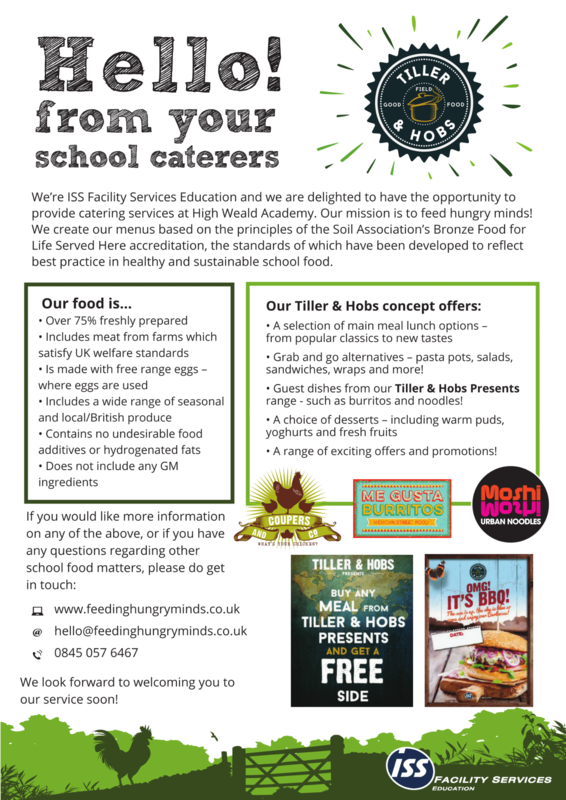 Parents of students who already receive a free school meal at their primary school should email freeschoolmeals@kent.gov.uk to advise them of their son's new secondary school. Parents without email should telephone 03000 416464, which will take you through to a KCC contact centre. You should then ask for Free School Meals. New parents can apply online via: www.kent.gov.uk or telephone the above number. £2.35 is allocated to a student's card each day for the purchase of items included in the meal deal ONLY (such as main meals, jacket potato + filling, pasta, fruit, sandwiches, dessert of the day and meal deal drinks). Parents may wish to give their child extra money to top-up in addition to their free school meal allowance, which can then be spent on non free school meal/meal deal items (such as cakes, biscuits, ice creams, non-meal deal drinks, and breakfast items such as hot paninis, sausage/bacon rolls, etc.). The free school meal balance cannot be spent during the breakfast session before school (8:30 – 8:45).